Several mainstream media “fact checkers” piled on to GOP presidential candidate Herman Cain after the latter reaffirmed his statements condemning Planned Parenthood’s eugenic roots. They downplayed founder Margaret Sanger’s eugenicist philosophy and accused Cain of a “pants on fire” lie. In what became one of the highest-profile attacks on the group’s eugenic history in recent memory, Cain, who now leads the pack of GOP candidates in several polls, stood by his comments calling the birth control and abortion giant “Planned Genocide” for targeting the black community. In criticizing Cain’s comments, the Washington Post “Fact Checker” Glenn Kessler correctly notes that Sanger’s famous comment about “exterminating” the black population is often taken out of context. However, he goes on to note that Sanger advocated birth control to produce a race of “thoroughbreds” – while excusing her role in the movement by noting that eugenics “enjoyed wide acceptance in the early 20th century” by other leaders and was “less controversial” at the time. Today, Planned Parenthood concedes that “Margaret Sanger made statements some 80 years ago that were wrong then and are wrong now,” but claims no longer to follow a racist agenda. The Alan Guttmacher Institute, a former research arm of Planned Parenthood with major financial ties to the group, claimed in a recent report to debunk the claim that abortion clinics are concentrated in black communities, claiming only 9 percent are located in minority areas. But critics of Planned Parenthood have pointed out that the Guttmacher report arbitrarily excluded abortion clinics that committed fewer than 400 abortions per year: numbers that, when included, show a different story. 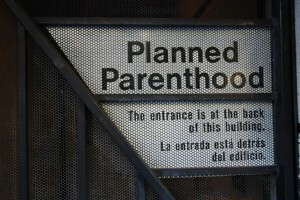 A survey based on Census data published by Life Dynamics president Mark Crutcher in September found a majority of Planned Parenthood clinics located in disproportionately minority neighborhoods. In addition, Crutcher noted that of the 116 ZIP codes found to have more than one population control facility, 84 were disproportionately black and/or Hispanic. Michael New, a political scientist and assistant professor at the University of Michigan-Dearborn, said that excluding the smaller abortion clinics was a simple way to cover up a trend. “If you draw the circle somewhat narrowly, sometimes it looks as if it’s not a high minority area. If you draw that circle a little more broadly you do find a concentration of minorities,” New told LifeSiteNews.com. See incredible interview with Sanger by Mike Wallace on 1957 60 Minutes program (link to video is at the bottom).